Giuseppe Guarneri filius Andrea Cremona, c1710 "Ex-Jules Falk"
Giuseppe Guarneri (1666-c1740) was the second of Andrea’s violin making sons. With the departure of his brother Pietro to Mantua, Giuseppe’s hand became increasingly dominant in his father’s workshop. His instruments after 1680 raised the level of the workshop to new heights, and reflect the need for innovation with the competition of the Stradivari workshop. At this stage his work naturally showed the influence of Pietro more-so than his father. This great violin which is illustrated in the monumental book by W.H., A.F. and A.E. Hill: “The Violin-Makers of the Guarneri Family” was dated by them as c1710 perhaps as a means to emphasize their conviction that it was clearly the work of Giuseppe and not Pietro. 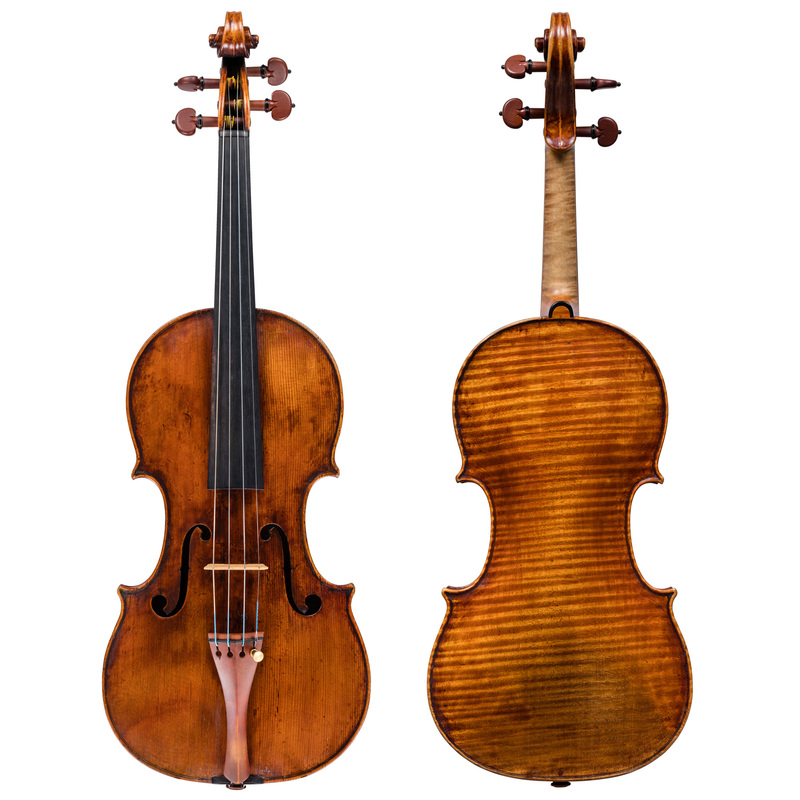 Comparing the wood and model of other violins by Giuseppe, it becomes clear that this dates from the mid-1690s. It is a great and classic Cremonese violin whose sound reflects all the positive attributes of power, complexity and response.